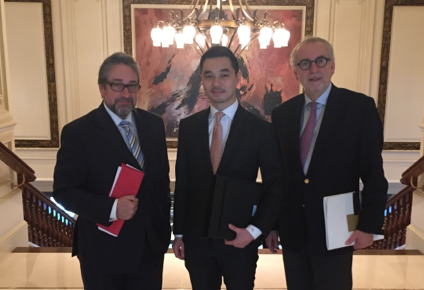 Pascal Eydoux, president of the French National Bar Council and Philippe Henri-Dutheil, president of the European and International Affairs Committee of the French National Bar Council, travelled to Tokyo in December 2016 and to Hong Kong at the start of january 2017 to meet the profession’s leading representatives and act as spokesmen for french lawyers. The region’s economic vitality and the many opportunities it offers our French colleagues merit close attention from the French National Bar Council and its European and International Affairs Committee. 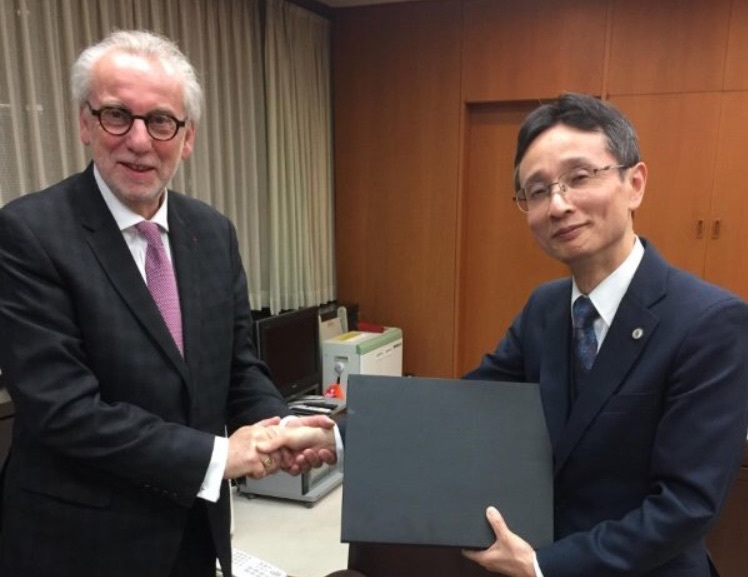 During the visit organised at the invitation of the president of the Japan Federation of Bar Associations (JFBA), the French National Bar Council’s delegation negotiated a partnership agreement between the two institutions. This will make it easier for formal exchanges and discussions to take place between these two institutions, which represent french and japanese lawyers. The French National Bar Council’s presence in Japan also made it possible for a series of high-level meetings to be organised, notably with the vice minister for Justice, Mr. Tsuji Hiroyuki, the french ambassador, Mr. Thierry Dana, and the Japan and North East Asia Director of Business France, Mr. Pascal Gondrand. The topics discussed with these authorities were related to French lawyers’ access to the Japanese legal market. Japan’s economic vitality and its close commercial ties to France (3rd strongest economy in the world, France’s second largest trading partner in Asia, after China), as well as the importance of continental law in the legal tradition of a country so rich in opportunities for french lawyers. However, as was confirmed during a meeting with french lawyers working in Japan, admission to the profession can only be obtained by passing a full examination. Inversely, France allows for a more relaxed examination for those foreign lawyers who qualify as a lawyer in a state which does not form part of the European Union (a condition laid out by Article 100 of the Decree of 27 November 1991), which is the case of our Japanese colleagues. 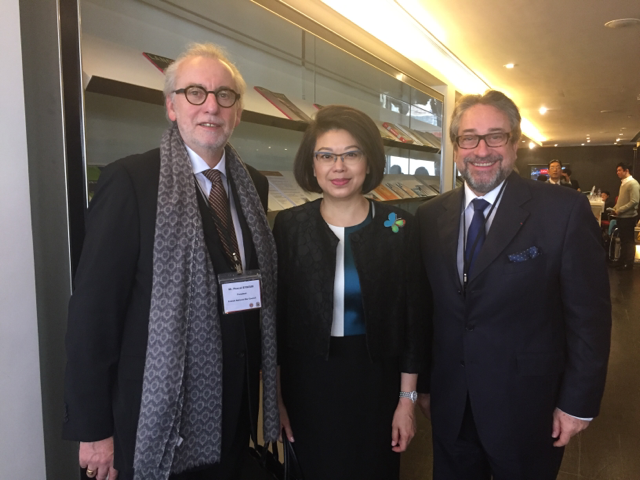 For the second year in a row, president Eydoux and president Dutheil attended the opening of the new legal year in Hong Kong, an unmissable event for the legal profession in Asia but also at international level. It took place on 9 January 2017. 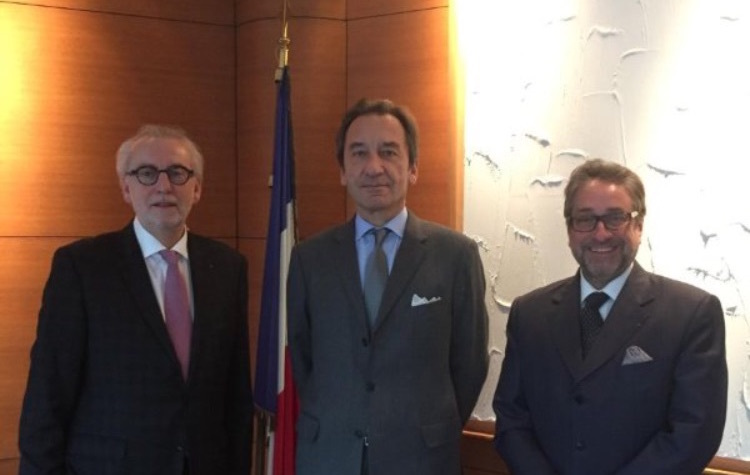 The visit also provided the occasion to reaffirm the ties between the French National Bar Council and both the Hong Kong Law Society and the Hong Kong Bar Association. Bilateral talks were held with the Presidents of both institutions, meaning that progress could be made in the exchange programme for pupil lawyers with the Hong Kong Bar Association. The first promotion of French pupils will be able to carry out their pupillage with Barristers in Spring 2017, and discover the main legal institutions of this extremely dynamic administrative region of the People’s Republic of China. President Eydoux and president Dutheil with Mr. Wilson Leung, co-founder of the Hong Kong "Progressive Lawyers Group"
In addition to these institutional dialogues, president Eydoux and president Dutheil met the lawyer Wilson Leung, co-founder of the “Progressive Lawyers Group” to discuss the situation of lawyers in Hong Kong and mainland China as they come under pressure from Beijing to stifle any desire for democratisation and the promotion of the Rule of Law. The situation of Human Rights lawyers in China is dramatic. Hundreds of arrests have taken place since the Summer of 2015 and unacceptable methods of intimidation and harassment are used. But the situation of lawyers in Hong Kong is as uncertain as the political future of Hong Kong. The International Observatory for Lawyers in Danger, co-founded by the French National Bar Council, is keeping a close watch over this part of the world, where many of our colleagues come under serious threat because of their profession.